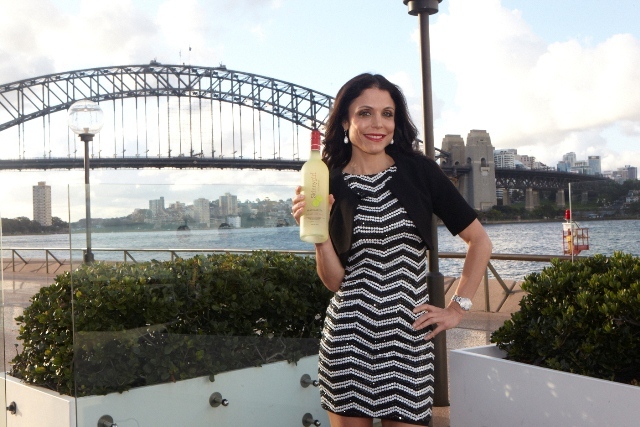 Last night, Skinnygirl fans welcomed Bethenny Frankel to Australia in style: in a beautifully set up marquee at the Sydney Opera House. The reality star turned uber-successful businesswoman and author came to Australia for the first time to promote her creation Skinnygirl Cocktails, Australia’s first low calorie, ready-to-serve cocktail brand - and she received the warmest reception from guests at the Opera House event, hosted by Bethenny and Famous magazine. Guests at the event were treated to a live demonstration from Bethenny, as she shared how easy it is to 'accessorise' the ready-to-serve Skinnygirl Margarita and Skinnygirl White Cranberry Cosmo cocktails - which we got to savour throughout the night, downing it alongside some delectable treats like mini hamburgers, asparagus and pine nut pasta, and later, macarons, all prepped by ARIA catering. 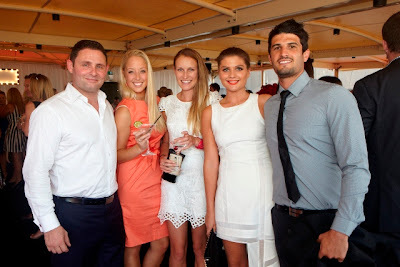 Guests were also invited to ‘accessorise’ themselves, with makeup consultations provided by Napoleon and manicures by the Bronzing Boutique, with a 'Polite in Public' photo booth to capture it all. For more on Bethenny Frankel, and the story behind the Skinnygirl brand, click here. Skinnygirl® Cocktails are available at select liquor outlets, RRP $24.99 per bottle. And this photo is my fave photo, hands down: I took along my friend Dionne Taylor from Polkadot PR as my guest to the event. To say Dionne knows everything about Bethenny is an understatement - she knows all there is to know. She's genuinely in awe of Bethenny as a business entrepreneur - with good reason. Bethenny's story is a perfect example of a self-made success story made possible with much hard work and savvy business decisions - and a reality TV platform complementing it in a positive way. It was a real pleasure to see Dionne and Bethenny have a 'moment' during the event. Dionne wore a necklace last night she's had in the family for eons, which she saw Bethenny wear on one of her TV episodes - it was an immediate red carpet talking point for both of them. 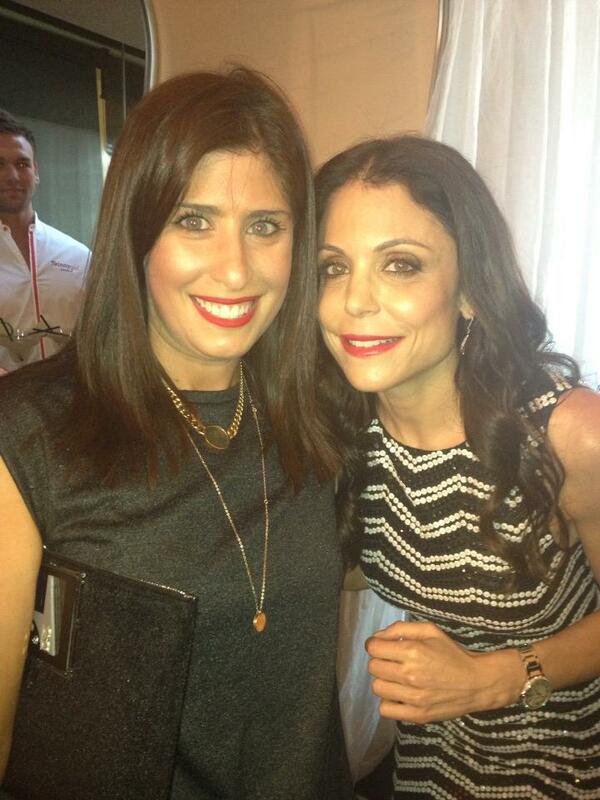 We managed to grab another happy snap just as Bethenny made her exit. Priceless.